Below is a second astrophotography image I made last Monday evening (see previous post). 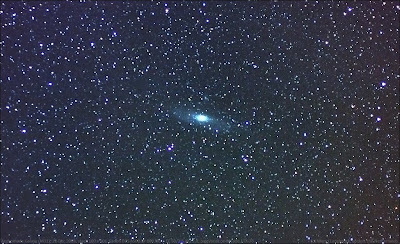 It shows M31, the Andromeda Galaxy. The image is the result of stacking 100 images of 10s exposure each, made with my Canon EOS 450D + EF 50/2.5 Macro piggyback on my ETX-70.